Both collaborative law and mediation rely on voluntary dialogue and exchange of information with a commitment to resolve issues and respect everyone’s shared goals. But whereas in mediation, the one neutral person assists with the negotiations to settle the case, but cannot give legal advice or advocate for either side, in collaborative divorce both lawyers are present during the negotiation process to help with the settlement. The fact that attorneys agree not to litigate is the driving force behind the collaborative law concept. Because both parties must hire collaborative lawyers for this to work, the negotiations are geared for collaboration, cooperation and settlement rather than leaning towards intimidation or threats of litigation if one party does not give in to the other. The lawyers, who have training similar to mediators, work with their clients and each other to make sure there is an objective process that is both positive and productive. Each party has the security of knowing that they will be negotiating with knowledge of the law and the guidance of a proven and caring practitioner by their side while attempting to work out the settlement. 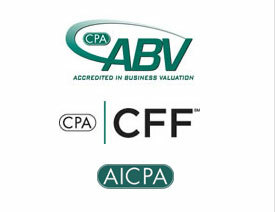 One neutral accountant is available to assist with financial and tax decisions. Mental health professionals are available to help with parenting plans and divorce coaching. A marital settlement agreement is drafted by the lawyers, and reviewed and edited by both the husband and wife. It is a method of practicing law in which the lawyers for both parties agree to help the clients resolve conflicts by employing cooperative techniques rather than adversarial strategies and litigation. In a conventional divorce, the court system and judges resolve the couple’s disputes. However, in a conventional divorce the husband and wife often come to view each other as adversaries, which may make their divorce a battleground. This takes an immense toll on emotions—especially the children’s. Collaborative law, also known as collaborative practice, is by definition a non-adversarial approach. The couple’s attorneys pledge in writing not to go to court. They negotiate in good faith, and work together with the husband and wife to achieve mutual settlement outside the courts. All of the people involved commit themselves to achieving a negotiated outcome. It is agreed that there will be no litigation started during the negotiations. The parties agree that if a settlement is not reached, the lawyers will withdraw from the process and not participate in the subsequent litigation.